The aim of this report is to understand and document the existing and emerging landscape for social investing in 14 social economies. We present insights from qualitative research examining the essential characteristics of the social economy – ‘attractiveness’ of the region for investment, development challenges being tackled, the influence of legislative environments and governments in triggering the social sector, key actors in the social investment landscape and their journeys, recent trends and developments such as crowdfunding, the ecosystem for social impact, and a snapshot of the opportunities and challenges. For more information on each social economy, please click on the map or on the country boxes. The stage of growth of the social economy in a region is characterised by the presence, contribution and maturity of all actors in the ecosystem — government, Social Purpose Organisations (SPOs), social investors and enablers. We rated this on a scale from nascent to mature. Frontier markets such as Cambodia and Myanmar have nascent social economies, while the other end of the spectrum, India, South Korea and Singapore have mature economies, followed closely by rapidly growing economies such as Hong Kong, Indonesia, and China. Most of the 14 social economies are in their growth phase. Social enterprises (SEs) in these regions are in their early to mid-stages of growth, viable pipelines are small, and deal volumes are low. Social investors in these social economies play the crucial role of nurturing the ecosystem and supporting the establishment of an investable pipeline of SEs. 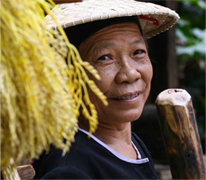 Lotus Impact in Vietnam works closely with entrepreneurs and seed-stage businesses to provide seed capital and incubation support. Cambodia’s Clean Energy Revolving Fund operated by Nexus for Development supports investments from agri-food SMEs in clean energy technologies while SWITCH-Asia’s “MEET-BIS Cambodia” programme promotes energy efficiency in the tourism sector. 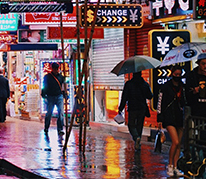 BCI2 is a local Taiwanese impact fund, founded by 42 angel investors with entrepreneurial and professional backgrounds, across regions, from Silicon Valley to Asia. India Innovation Fund is a Securities Exchange Board of India registered venture capital fund that invests in innovation-led, early stage Indian firms. Aavishkaar’s Frontier Fund focuses on Indonesia, Bangladesh, Sri Lanka and Pakistan and aims to support 15-18 companies with a ticket size of around USD 1-5 million. The regulatory environments for SPOs and investors in the regions examined span the spectrum from being restrictive, as in the case of Myanmar, Vietnam and Cambodia, to neutral, as is the case with Japan, India and Indonesia, to hassle-free and friendly, as is the case with Hong Kong, Singapore, South Korea and Philippines. The ease of the process of registering an SPO is a big contributor to the number of informal (unregistered) SPOs that might operate in a country, while investor regulations around the nature of funding is a key influencer in the instrument used for funding (grant, debt, or equity). 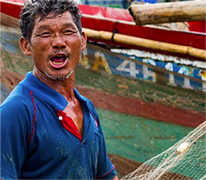 South Korea is the only East Asian country that legally recognises social enterprises (SEs) and offers multiple incentives including payroll subsidies for three years, sales channel development and preferential procurement from SEs in addition to funding and ecosystem-building support for the growth of SEs. The government is the largest social investor and incubator in South Korea. The Korea Social Enterprise Promotion Agency (KoSEA), a state-run incubator for SEs, the Korea Social Investment Fund (KSIF), the Seoul Social Economy Support Centre, as well as a range of SME financing products and preferential access to public procurement bidding, have been established. The social economies in Thailand, Hong Kong, Taiwan, Philippines and Singapore have been enhanced through progressive policies, CSR mandates, dedicated offices for advisory and facilitation around social entrepreneurship, large-sized seed funds, incubators and capacity building institutions. 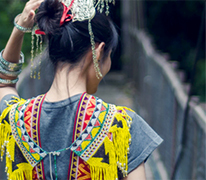 Hong Kong: The Social and Entrepreneurship Development Fund (SIE Fund) has been a pivotal source of seed capital for SEs. The Social Enterprises Promotion Unit strengthens SEs through cross-sector collaboration, incubation and enhancing public awareness. Singapore: Launched in 2015 and funded by the Ministry of Social and Family Development and the Tote Board, raiSE currently administers a total funding of SGD 30 million which it distributes to qualified SEs in grants. 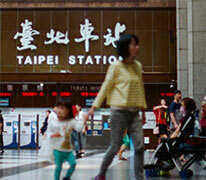 Taiwan: 2014 was declared ‘the year of SEs’ and the government introduced various measures to fund, support and promote SEs, including a 3-year promotion plan. The plan aims to achieve this vision by deregulation, networking, financing and incubation. Thailand: The Stock Exchange Thailand (SET) plays an active role in furthering corporate social responsibility (CSR) through raising awareness and reporting mandates. India: The government’s 2% CSR mandate in 2013 has brought over 16,000 Indian companies into the purview of the Act, establishing an avenue to obtain new capital, resources and expertise towards social impact. Altruism drives many philanthropists and their families. 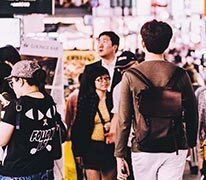 An analysis of Asian philanthropists’ giving across the 14 regions provides evidence of multiple motivations to give: realising religious and ethical conventions, preserving family traditions, supporting native lands in times of crisis, or providing for lesser endowed communities across countries and regions. While much of HNWI and family foundation philanthropy is confined to traditional giving, a positive trend is a movement towards social investing as the next generation begins to lead the family business. 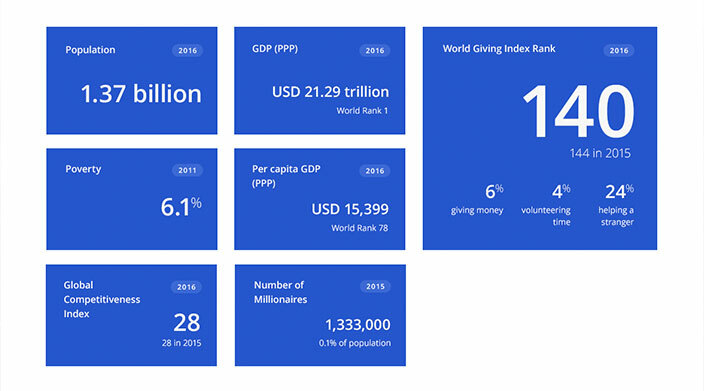 There are certain common trends seen among countries: although Vietnam has a culture of religious giving, philanthropy has not grown beyond small acts of individual charity, while in China and Thailand, the most dramatic change in the philanthropic landscape has come recently by way of the younger generation of philanthropists. Malaysia and Indonesia see substantial contributions through religious funding. In countries with a legacy of wealth such as Singapore and Hong Kong, family foundations play a more prominent role. 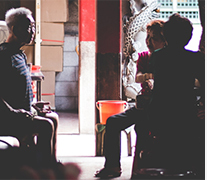 Several innovations are seen among Asian family offices and philanthropists. For example, RS Group in Hong Kong is unique in its “Total Portfolio Approach” to asset allocation. The Putera Sampoerna Foundation in Indonesia has invested in creating and nurturing local communities. 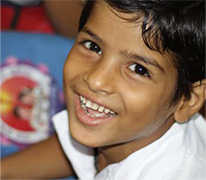 Zuellig and Ayala Foundation in the Philippines are pioneering the venture philanthropy model in their own unique ways, while Tata Trusts and a host of philanthropists and family offices in India are significantly broadening the horizons of giving by supporting under-funded causes, taking the venture philanthropy approach or foraying into impact investing. Corporate philanthropic contributions in the form of Corporate Social Responsibility (CSR) are ubiquitous and present in all 14 regions. However the integration of CSR with business leading to shared value approaches is less common. Japan and South Korea have several examples of corporates establishing venture philanthropy approaches and setting up equity funds for impact investing. Manufacturing companies in India have multiple cases of strategic and sustainable CSR which bring equitable value to all stakeholders. The impetus towards CSR in Cambodia, Vietnam, and Singapore are largely driven by international trade imperatives, while MNCs are driving international CSR best practices in countries such as Myanmar and China. At the same time, mandatory CSR has not produced clear outcomes so far, as with Thailand and China. In Malaysia and Indonesia, religious giving through zakat has wide prevalence and is often the largest pool of grant capital for SPOs. In 2013, zakat represented over 20% of the Malaysian government’s social spending excluding health, contributing to 0.25% of the GDP, while in Indonesia, the potential of zakat is estimated at USD 23.4 billion in 2017, 4% of GDP. Zakat collectors such as Dompet Dhuafa and Rumah Zakat in Indonesia, are leading the process of wellmanaged funds and strategic philanthropy. In Malaysia, the world’s largest Islamic finance market, Islamic sukuk bonds are a unique innovation with tremendous opportunity to grow socially responsible investing (SRI) in the mainstream capital market. Religious giving is informal, but is often the starting point for philanthropy as with Taiwan, China, India, Myanmar, and Singapore. 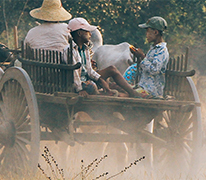 Myanmar’s giving landscape, in particular, is characterised by religious giving. Responsible investment is an approach to investing that aims to incorporate environmental, social and governance (ESG) factors into investment decisions, to better manage risk and generate sustainable, longterm returns. Responsible investing mechanisms have emerged in recent years, especially in advanced economies such as Japan, Hong Kong, South Korea, Taiwan, Malaysia and Singapore. These mechanisms have taken the forms of ESG bonds, socially responsible exchangetraded funds (ETFs), corporate sustainability indices and green bonds, providing an infusion of mainstream capital for socio-environmental funding. For instance, in September 2015, the Japanese Government Pension Investment Fund (GPIF), the world’s largest pension fund, with a pool of USD 240 billion, became a signatory of the United Nations Principles for Responsible Investment (PRI), and is making ESG-related decisions in various investments. It is anticipated that this move will spark greater ESG interest among Japan and regional investors in Asia. The global green bonds market has grown rapidly in the last few years, with an estimated USD 42 billion raised in 2015.14 In Asia, although the green bonds market is nascent, countries such as China, Hong Kong and Japan have been active in issuing bonds that invest in renewable energy companies, green infrastructure and real estate development. China alone issued USD 36.9 billion worth of green bonds in 2016, dominating the global market in climate-friendly infrastructure investment. The social economies in most of the studies 14 regions have advanced significantly due to the support of intermediaries. In particular, intermediaries play the key roles of incubating and building capacity among SPOs, promoting cross-sector collaborations, actively forging partnerships between diverse stakeholders and building a knowledge and evidence base in the region. Workshops, conferences, startup weekends and business competitions support investors in discovering high-potential SPOs and promote knowledgeexchange for furthering impact. While international organisations such as the British Council, Ashoka and USAID have played substantial roles in triggering the SE movements in the studied 14 regions, local players have helped sustain and grow the ecosystem with their contributions. Intermediaries such as Centre for Social Initiatives Promotion (CSIP) and LIN Centre for Community Development (Vietnam), Non-Profit Incubator, China Social Enterprise and Investment Forum (CSEIF) and Leping Social Entrepreneur Foundation (China), UnLtd and YCAB (Indonesia), ChangeFusion (Thailand), Phandeeyar (Myanmar), Asia Philanthropy Circle (Singapore), Root Impact & KoSEA (South Korea), XChange (Philippines), SVP and JVPF (Japan), Ashoka and Sankalp (India), MyHarappan (Malaysia) are notable intermediaries who have contributed significantly to the growth of the social economy in their respective regions. Collective impact is a way to tackle deeply entrenched and complex social problems of all stakeholders using five elements: (i) common agenda, (ii) common progress measures, (iii) mutually reinforcing activities, (iv) communications, and (v) a backbone organisation. In the study of the social investment landscapes across 14 regions in Asia, we found collaborations that followed one or more of these principles, bringing together diverse stakeholders in a sustained manner towards a common purpose. Giving circles such as the ones found in Singapore, Hong Kong and India, which raise resources for non-profits while helping their members grow in terms of maturity as donors are one example. Pooled-in CSR capital such as the Philippine Business for Social Progress model that mobilises corporate funding to implement effective CSR programmes, or even collaborations between government, corporations and civil society such as the SE funds in South Korea or the blended finance approach of Japan, India and Indonesia, are other examples of innovative and highly scalable movements in philanthropy. Another example is the mutual fund BKIND is Thailand, which is an initiative between ChangeFusion Thailand, Ashoka, Khon Thai Foundation and the Bangkok Stock Exchange. The fund also allocates 0.8% to invest in NGOs and SEs following a venture philanthropy approach. Other models are the Collective Impact Initiatives by Credit Suisse in Hong Kong and Malaysia, which focus on education and fostering access to education in these social economies. These models have helped the social economies of the respective regions grow significantly by providing new means of accessing capital, expertise, and furthering knowledge. Evaluating investment opportunities between two social economies? Get in-depth analysis on social economy - ‘attractiveness’ for investment, development challenges, legislative influence, recent trends and a snapshot of the opportunities. 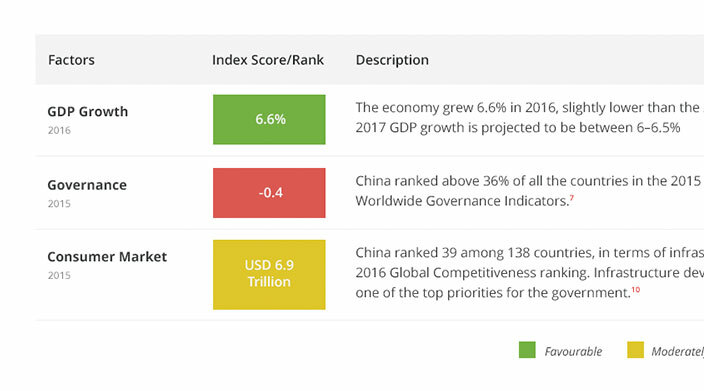 Fact file provides an outlook for the 14 economies in Asia on their populations, GDP (PPP), Poverty, World Giving Index Rank and more. Asia is one of the most dynamic regions in the world and home to many rapidly growing economies, which have resulted in great societal challenges associated with this growth as well as remarkable opportunities for philanthropy and social investment. 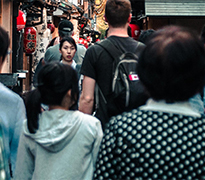 Asia’s diversity in terms of socio-economic environments and stages of development means there is no one-size-fits-all solution to the establishment of an impactful social economy. Recognising this, AVPN seeks to provide a holistic and contextual understanding of the 14 economies in Asia. The stage of growth of the social economy in a region is characterised by the presence, contribution and maturity of all actors in the ecosystem. Asia is at a critical juncture grappling with societal challenges associated with rapid economic growth. 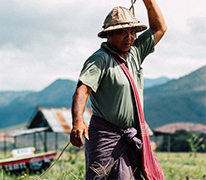 The social economy, rooted in the principles of collaboration and collective impact, holds a tremendous potential to drive social and environmental transformation in Asia towards sustainable and inclusive prosperity. 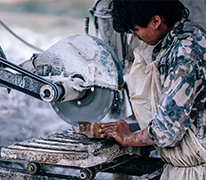 The different stages and characteristics of social economy development in Asia can be a source of synergy that catalyses cross-border and cross-sector giving and social investment, as well as enables peer learning. For new investors and investors already present in the region, exciting developments are on the horizon. 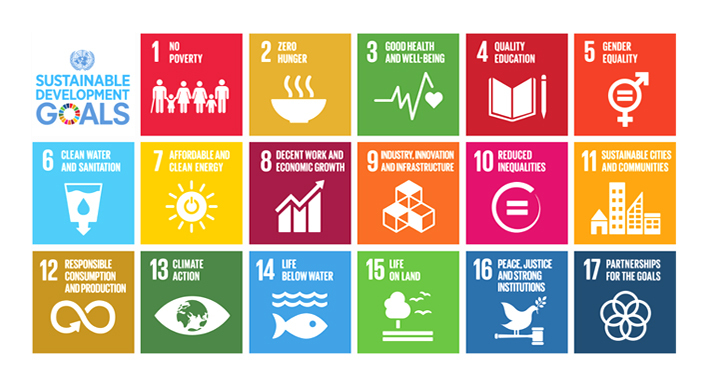 The SDG dashboard is a measure of the progress made by each social economy towards the goals and targets laid out in the United Nations SDGs. Poverty reduction across most social economies has been impressive. However, India, Myanmar, and Cambodia still have over a quarter of the people living below the poverty line. 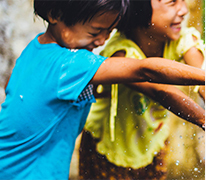 While emerging economies such as India, Cambodia, Myanmar, Indonesia, Philippines and Vietnam have to address pressing social challenges in healthcare, sanitation, education and water, developed economies such as Japan, South Korea, Taiwan and Hong Kong are tackling ageing, growing inequalities, declining workforce, labour productivity and gender equality. Environmental issues are uniformly red on the dashboard across social economies, from issues of energy access and infrastructure in emerging economies, to climate risk mitigation and natural resources management in the island countries of Asia.